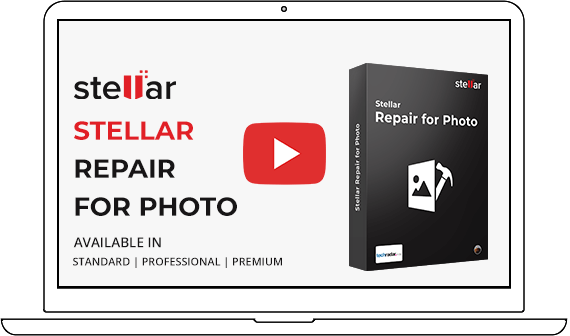 Stellar Repair for Photo for Mac is a complete solution for repairing corrupt or distorted photos having JPEG extension. It easily repairs JPEG files stored on hard drive, SD memory card, USB flash drive or on any Mac systems. *Free Download is only for evaluation and provides preview of repaired jpeg files. The professional JPEG repair software and it is possible to repair multiple files at the same time. It saved a lot of time with perfect result. The software fixes Mac JPEG files and extracts embedded thumbnails from these files to a specified location. If you only want thumbnail images for the JPEG file, you can do so using the exclusive 'Extract Thumbnail' feature of the tool. The software displays a message if your JPEG file does not contain thumbnail. The software has a built-in previewer to facilitate previewing JPEG files in the main interface after completing the scan. The tool generates an index of files followed by their thumbnails in the left pane. You can select a file or thumbnail to see its preview in the right pane. The software shows the information of every image after the repair process is over. As you select the JPEG image from the list in the right hand pane, the information such as 'Type', 'Size', and Dimension' appear right below the preview pane. From this information, you can easily make out, whether the repaired one is an original image or a thumbnail. The software has an easy-to-use, step-by-step wizard to enable you perform JPEG recovery by investing minimum effort and time. The user can easily recognize thumbnails that are displayed with a unique file naming scheme, i.e. 'Filename_T1...T2' and so on. The software does a faster scan and repair than before, as the scanning engine has been optimized to achieve the desired level of performance. With this innovation, the software makes any batch-repair task a cinch for the user. What is the difference between Demo and Full version of Stellar Repair for Photo? 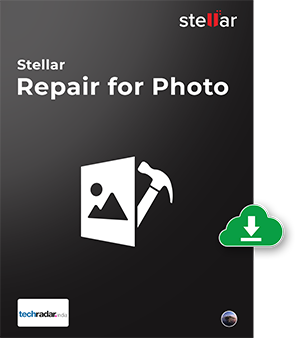 The Demo version of Stellar Repair for Photo allows you to access all features of the software for evaluation. It recovers corrupt JPEG or JPG images with watermarks. In order to recover your lost invaluable memories without watermarks, you need to purchase full version of the product. What media file formats and storage devices are supported by the software? 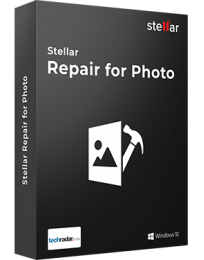 Stellar Repair for Photo supports both JPEG and JPG formats. The software can repair corrupt JPEG or JPG files stored on your computer's local hard drives, external hard drives, memory cards, memory sticks, and other removable storage devices. Does the software allow extraction of thumbnails from JPEG images? Yes, the software allows extracting thumbnails from JPEG images while doing the repair. You can choose to extract only thumbnails from the image files using the 'Extract Thumbnail' feature of this JPEG repair tool. The images that are severely corrupt may not be recovered. In these cases, you can extract thumbnails to get an idea of the actual image. Does the software support batch repair for JPEG files? Yes, the software can repair multiple JPEG files in a batch. You can also select a folder containing multiple JPEG files and recover them in a single operation using the software. I got a few of my compressed JPEG files stored on the corrupt hard drive. Can I use Stellar Repair for Photo to repair these compressed images? No, this tool does not support compressed JPEG files. This application throws an error 'Important marker missing' when I try to repair my corrupt JPEG files. Why so? Stellar Repair for Photo for Mac cannot repair if it fails to get the marker in the corrupt JPEG file, without which the repair is not possible. This is why the software shows this error. Doctor of Corrupt JPEG files! I captured 50 photographs with my family but few of them were corrupted. I downloaded it and tested on them. Wow!! It’s amazing tool that helped me to get back my pictures. I felt that the software is better than its many counterparts. It repaired almost all of my 16-17 JPG images and running the software was no hassle! Stellar Repair for Photo software is the best DIY tool to repair corrupt or damaged photo formats li..